So, anyway, I’m just about to order my food when our server asks, “Would you like to start with some eggrolls?” What? Since when does Sonny’s serve egg rolls? “They’re new,” a friend tells me. “And they’re good. You should try them. They call ‘em ‘Redneck Eggrolls’.” Okay. Why not? I’ll give them a shot. After all, rednecks are my ancestral people. 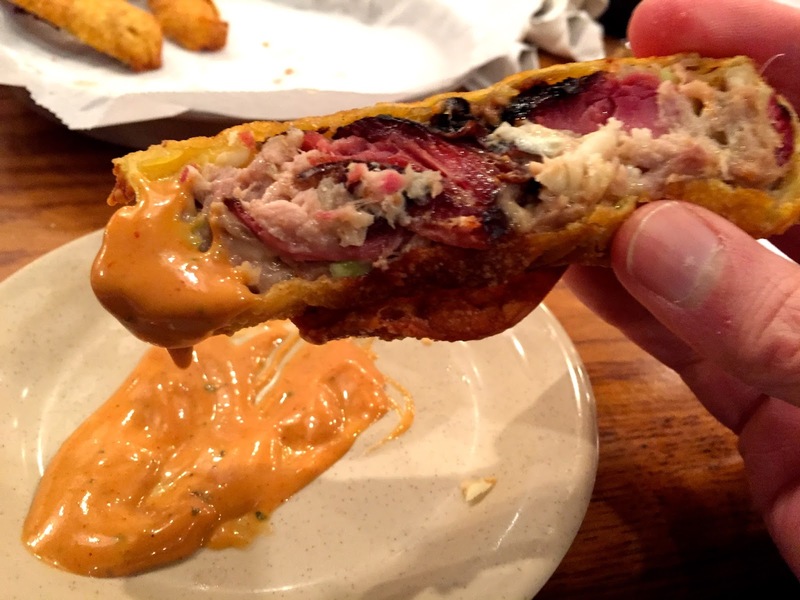 It turns out Redneck Egg Rolls are amazing! Slow-smoked pulled pork, jack cheese & coleslaw, fried up until golden brown and served with smoky ranch dipping sauce that I could eat by the spoonful. I’m not surprised Sonny’s improved the egg roll. We southerners have a way of sticking a couple of things together and making them better and distinctly our own. We jammed country music and rhythm & blues together to make rock & roll. We combined cotton and gin to make the cotton gin. Okay, that last one might not be the best example but I don’t have time to think up a real one. I’ve got Redneck Eggrolls to eat. Damn, these things are tasty! If you get the chance, grab 'em and growl, as my people say.